The benefits of running without music? There’s no right or wrong answer here but I do feel that when people first start running they listen to music to help with the “boredom”, help motivation or to simply prevent them listening to their own breathing and footsteps. It almost seems natural to run with music ironically, and when I first started running I also couldn’t run without it. Eventually a friend said to try use no music, focus on breathing and cadence and see how that contributes to my pacing and effort. It really helped, initially running without music on shorter runs allowed time to focus on the actual running and what I was doing. I was marathon training and it helped to focus on pace and distance. Gradually taking this into longer runs I no longer needed music. In fact I now rarely use music whilst running. The last few times I have used music was either in adverse weather or I was really tired and needed that extra push to get out there for a long run. Even then I’d turn off the music after half an hour or so as I find it distracting. Now although I said there’s no right or wrong answer I do believe you can become too reliant on music and then struggle when forced to run without it. More and more races are banning music and I think it really is beneficial to learn to run without it (sometimes) and actually enjoy running without music. I have found it easier to settle into a good rhythm, to control my breathing and ultimately know the feel of when I’m running well now that I do not use music. It also allows thinking space and time, whether you want to switch off completely, or in contrast, to focus your mind completely on the run. I find it much harder to do this whilst using music. The main benefit I have from running is time to clear my mind. Before, if I was stressed or angry or generally just having an off day I’d spend the day in bed eating crap, watching crap and watching time pass, inevitably making me feel worse. I can now use running as a stress reliever. If I use music I don’t have time to think or reflect and finish the run still stressed. Not using music allows time to think about these things and usually helps put them into perspective. Usually things aren’t as bad as they seem and I tend to finish a long run especially in a much better frame of mind. Sports scientists differentiate between runners as “associators” – people who prefer to focus inwardly during a run – and “dissociators” – people who spend their runs looking for ways to forget what they’re putting themselves through. I think running without music helps on both accounts. It provides headspace to explore the environment and switch off whilst also allowing you to focus on the run and specific targets you may have set. 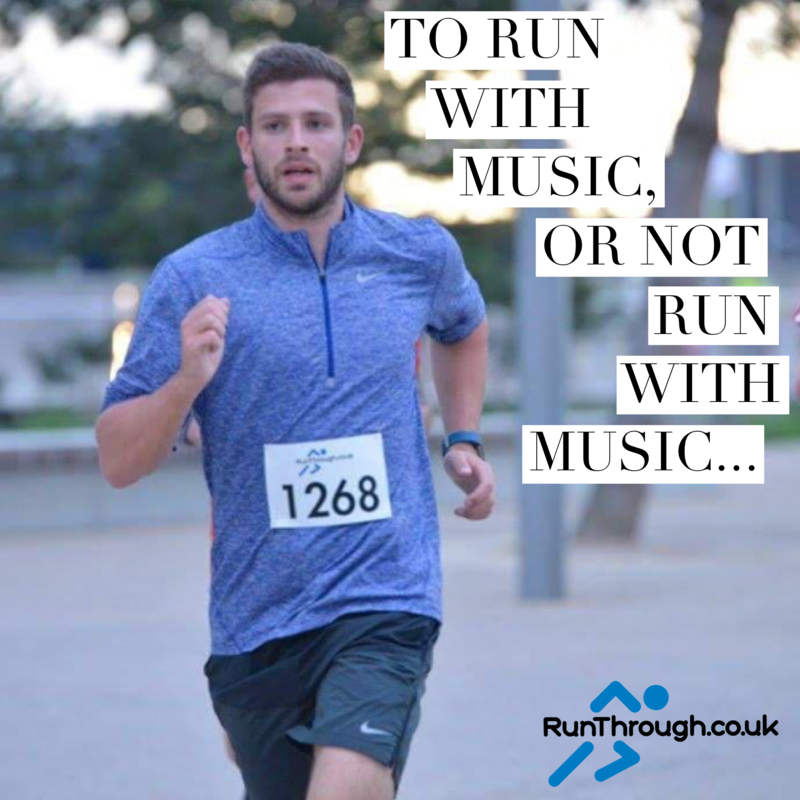 Music can be great to help pass the time on a long run or distract you from the actual “one foot in front of another” notion however not using music can help the opposite and take your mind elsewhere mid run. If you run the same route with the same music all the time you will get bored and lose mojo. If you mix things up then you can easily get distracted on runs and time will pass much quicker. Try trail running, road running, hills, canals or parks. Rather than using the music to take your mind off the repetitive strides, use the environment or the people around you to do the same. You’ll realise how much more you actually take in on your run and remember the parts you most enjoyed if you want another new route in the future. An LSR might be the best time to use music as you have a distance in mind but may not necessarily focus on the pace. You can listen to music and run at your pace. However, I feel if you have a structured workout or goal then no music helps performance. A fartlek session for instance may be hard to incorporate if you’re listening to the same constant genre of music. If you have certain paces to hit for each mile then again it may be easier to do this without a music distraction. Also, those that hate listening to their breathing and footsteps. Maybe try this on one of your shorter runs or for a few miles mid long run? Try to learn how you are breathing, how you are striding and whether your heart rate feels too high. This might help you decide whether you can up the pace or should be more in control. Yeahhh not like that! Although this is specific to music, I feel you can write the same article based on other parts of running. Do you always take gels on every run? Eat the exact same food the night before/ morning of a run? Do you always take your watch and record your run? Sometimes, running without any of this is a great escape, a great way to enjoy a run and a great way to run because that’s what you enjoy to do. I am not a “If it’s not on Strava it doesn’t count” person. Running “naked” can really help with mojo and takes all the pressure off that running can bring. 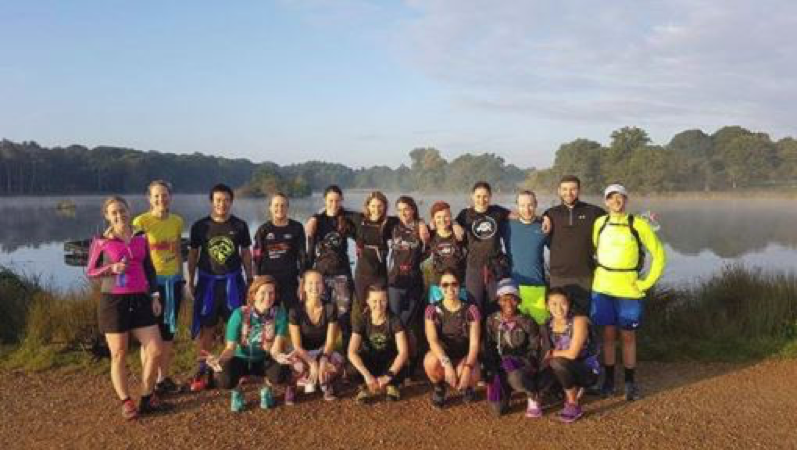 Running in groups can also be beneficial and an ideal way to start running without music. There are hundreds of running groups around, especially in London and RunThrough even have their own on Monday evenings – 7pm @ Clapham Common. Again, there’s no right or wrong answer to “should you run with music.” I also love the vast reasons people share on this topic. I just feel this is something I tried and worked well for me when I first started training for a specific goal. I feel this may help those that are solely reliant on music for every single run and would be great to hear any feedback. Do you use music whilst running? Do you think music helps running? What music/podcasts do you listen to?